We all dream of a different wedding. Some want to get their toes sandy, and others prefer choosing from the list of wedding venues. All in all, it is important to choose the best Bahamas wedding locations – and we can definitely help you with this. The truth is, a Bahamas wedding brings to mind many visions: beautiful, exotic, luxurious. Our islands are all of those things and many more. What many couples don’t realize, however, is just how many exquisite settings are available to them here in the Bahamas. Whatever you’ve dreamed of for your destination wedding in Bahamas, we can bring it to reality for you. Chic Bahamas Weddings and Events founder and director Marva Munroe will consult with you to help you visualize your perfect wedding location in the Bahamas on Nassau, Grand Bahama Island, Exuma, Eleuthera, any of the other Out Islands and cays. From white sand beaches to tropical gardens to luxury Bahamas weddings resorts, virtually any backdrop you can imagine can be yours for your wedding day. Known for its gorgeous beaches and friendly people, the Bahamas offers a multitude of islands to welcome you. Our close proximity to the United States (just a one-hour flight from South Florida) enables you and your guests to escape to the tropics without the extensive travel time. That way, you can choose the best one from our Bahamas wedding locations in coordination with us. The Bahamas offers the ideal getaway for your wedding ceremony, reception or honeymoon. Enjoy the thriving culture and nightlife of Nassau and Paradise Island. Dive in the stunning turquoise waters of the island of Exuma! Or explore the classic Bahamian simplicity and natural treasures of Grand Bahama Island! Allow us to help you plan a complete wedding and honeymoon itinerary with multiple Bahamas wedding destinations! Bahamas Wedding Location: What’s Your Type Of Ceremony? When it comes to your ceremony, it is once again important to browse through the different Bahamas wedding locations and find your favorite pick. For example, couples who wish to marry in a traditional church setting will delight in the historic worship buildings of multiple faiths. The Anglican, Catholic and Lutheran churches can be found in Nassau, along with the stunning 17th century Anglican cathedral that worships Queen Elizabeth II of England. Exuma and Grand Bahama Island, on the other hand, are home to quaint and charming Catholic churches. Picturing a beachfront ceremony instead? You can indulge your guests with the quintessential Bahamas wedding destinations experience. It all starts with exchanging vows beside the aquamarine waters of any of 30 inhabited islands: The Exumas, Bimini, Eleuthera, Harbour Island, Andros, Cat Island and the Abacos, Grand Bahama, Paradise Island, Cable Beach and more. Click here to read more about Bahamas wedding destinations’ ceremonies. Chic Bahamas Weddings and Events can flawlessly plan and coordinate receptions of up to 100 guests or even more. We allow you to celebrate with your family and friends in style. From intimate garden parties to elite full-service Bahamas wedding resorts and everything in between, we’ll execute every detail to perfection. 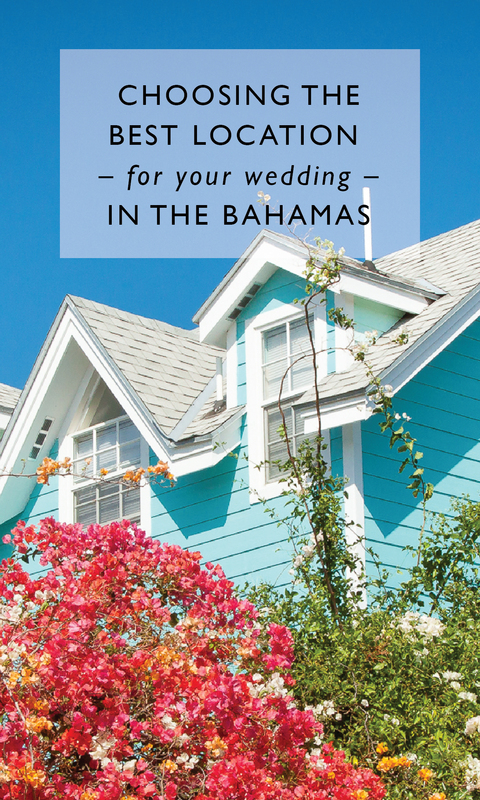 Searching for the best Bahamas wedding locations just got a lot easier. Thanks to us, you can find the beach ,venue or restaurant that tailors to your vision and style. Taking pride in partnering with the most talented and respected wedding professionals in the Bahamas, we also offer you unforgettable food and beverage service, vibrant entertainment, dazzling décor, etc. And most importantly – a celebration you and your guests will never forget! Read more about our wedding reception services here. We’d love to chat with you about your dream Bahamas destination wedding planning! Click here to contact us for your consultation regarding Bahamas destination wedding experiences.